As summertime approaches everyone is on the search for that “glow”. A lot of makeup artists find it hard to tone it down during the colder months, but now that the warmer climate is upon us it is totally acceptable to pack on the highlight! 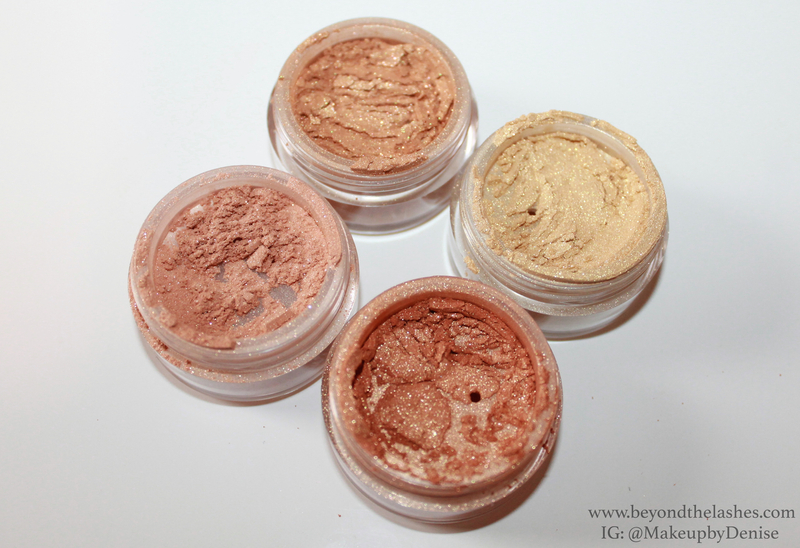 These fabulous powders are perfect for that luminescent, glowing skin. They are a finely milled loose powders that can be applied directly to the skin, applied with a liquid substance to intensify the pigment or mixed into your foundation. 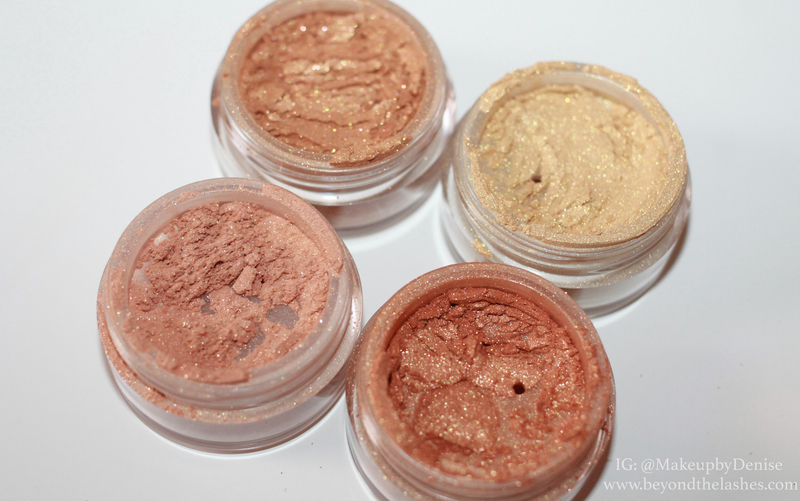 I love adding these radiant dusts to my tear duct or packed onto my lid for an amped up shimmer effect. They are the perfect mix of subtle but statement making. If you are interested to see how these beauties apply, find swatches below. Applied with a Mixing Agent (Mac Fix+). Bare Skin with light foundation. Foundation mixed with Rose Gold. Which is your favorite? (Top) Bronze Gold, (Right) Light Gold, (Bottom) Deep Gold, (Left) Rose Gold. I am a sucker for Rose Gold, but Bronze Gold comes in second for me. What are some of your favorite highlighters? If you are interested in ordering any of these babies. Use code “April15” for 30% off and free shipping through the 29th at http://www.gleambymelaniemills.com. Or use code “Denise” for 20% off after that date. They also sell liquid illuminators which are similar to a lotion. Make sure to check those out!!! This entry was posted in beauty, Reviews / Swatches and tagged beauty, highlighters, loosepowder, makeup, melaniemills, radiantdust, review, swatches by makeupbydenise. Bookmark the permalink.